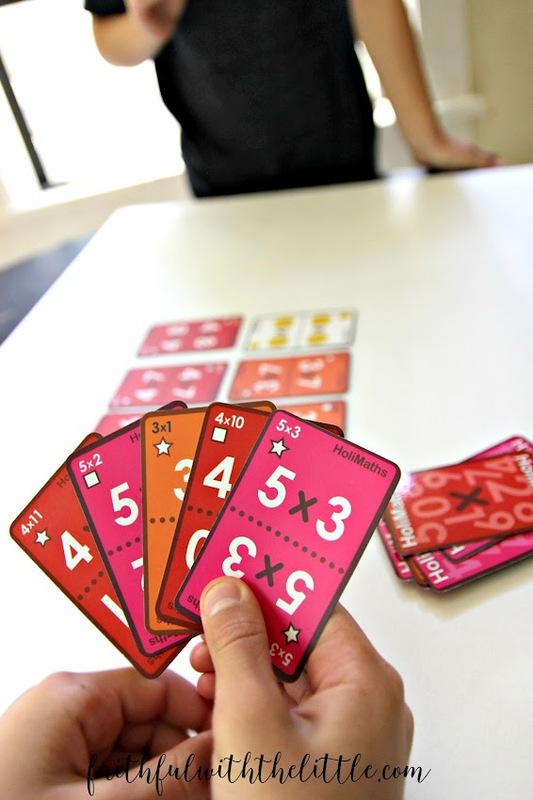 This is a sponsored post for Holimaths X Game a product of Holiplay games. All thoughts and opinions are uniquely and soley my own. I was provided with the Holimaths X game in exchange for my honest review. I don't know how it is in your household but when it comes to math there are often tears involved here. It's gotten better over the years but it can still be frustrating for my kids trying to figure out math when they just don't always get it. My kids love playing any kind of games. In fact they can get a little competitive. Any chance I get I love incorporating learning and games. 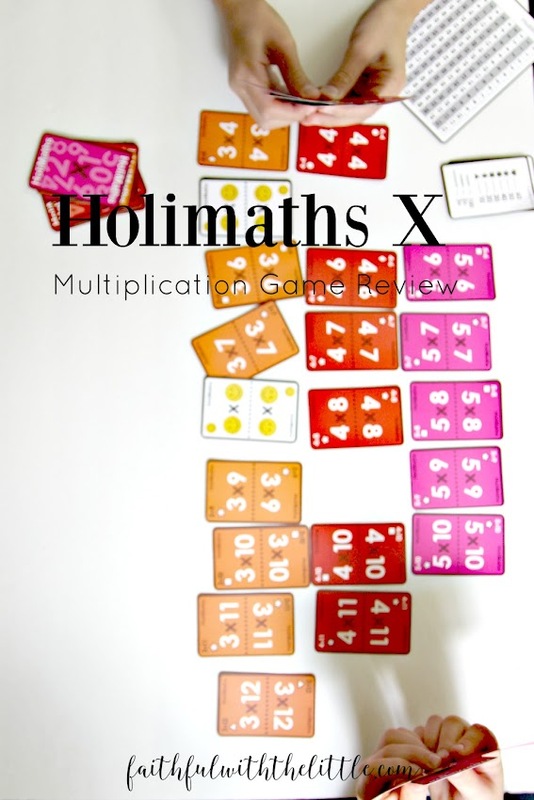 I think one of the best ways to learn is to have fun while doing it, so when I heard about Holimaths multiplication game I knew we needed to give it a try. Usually I drill my boys(9 and 11) with speed multiplication drills or races, but honestly they have still been struggling to remember them all. I have to admit that I don't like trying to figure out new games and all the time it takes to remember all the rules and strategies but thankfully it didn't take us too long to figure out how to play. The instructions were easy to follow and there are also helpful youtube videos to reference.
" 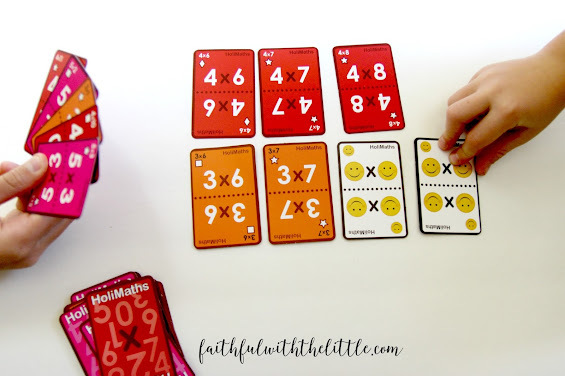 Holimaths X is a family multiplication family game strategy card game- 10 ways to play it- 1-6 players-7 and up- innovative card game aimed to meaningful/ significant learning that develops logical thinking." My favorite part of the game is that there are so many ways to play it and it can be played with all ages and and skill levels. When I asked my boys after we played the first time if they wanted to play again, I was thrilled to hear an emphatic, "Yes!!" And the next day they asked if they could play it again! Win! Win! 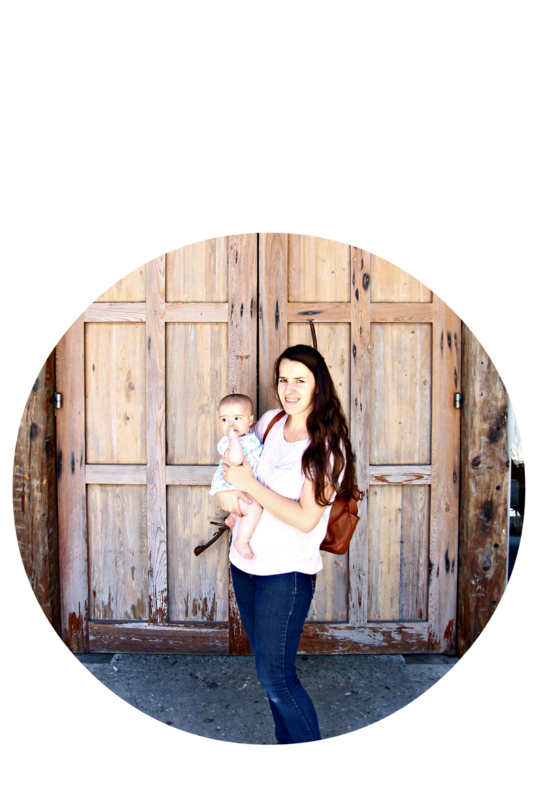 Unfortunately I have never liked math and I don't want to instill a hatred for math in my kids just because I have never been fond of it. The creator of holimaths came up with a way that gives you the tools you need to not only teach your kids math but to learn alongside of them. We were given a first edition game that is in Spanish but it didn't matter because the game is not dependant on language. There will be a future 2nd edition coming out that will have many improvements and cards and instructions in English and Spanish. Holimaths X comes with a money back guarantee on any missing cards! I love that it doesn't come with a lot of game pieces that take up space and are easy to get lost. It simply comes with Problem cards and solution cards and help cards to find solutions for those that might not know the answer right away and takes away any pressure to perform. It also comes with 2 drawstring bags to draw cards out of and store them in. The cards are brightly colored and each times table has it's own color so they are easy to distinguish. I am so excited that we now have Holimaths X in our arsenal, that I know will give both my children and myself and new found love for math and give my children the confidence they need to succeed in math! 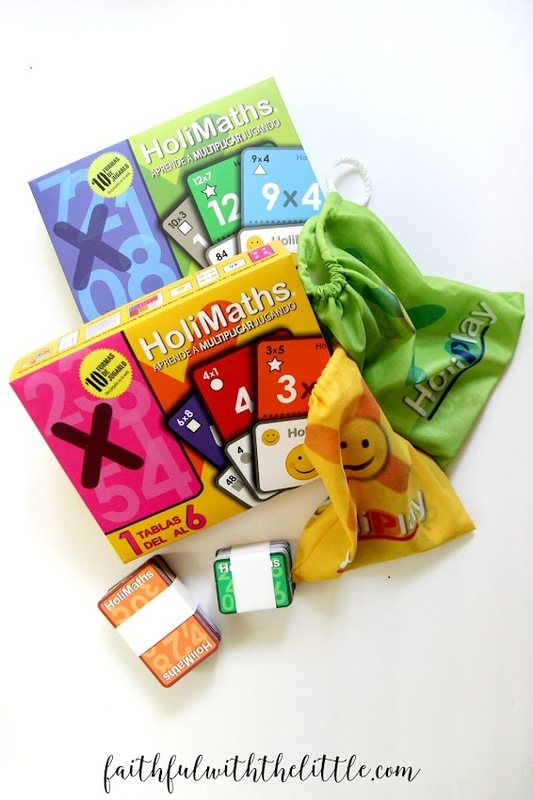 Please visit Holiplay Games to get your own Holimaths X and be on your way to learning math with your children and having fun while you are doing it! OH my goodness, that looks interesting! 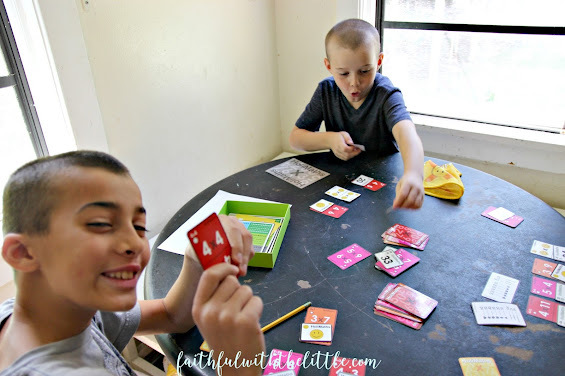 Math is one of our struggles and I have tried to use Big Brainz and even Mathblaster online to get them involved with doing more math in their everyday lives. They love card games, so this may be right up our alley! How were you able to do a review of the cards? Was it through a certain company? Just thought I would ask! Thanks so much for a great review ! But we have great news! 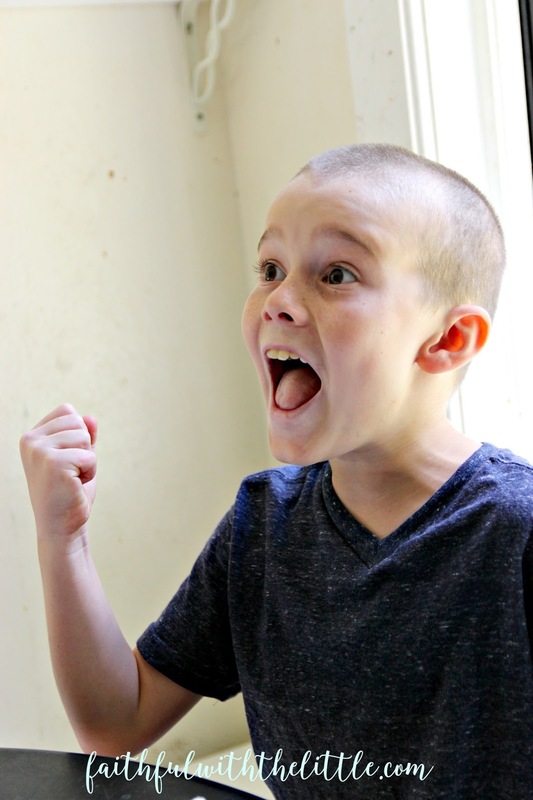 Support us promoting on Thunderclap and help us spread the word out of a great educational game - a must have tool in your Homeschool! Do you want to make money promoting our proyect?